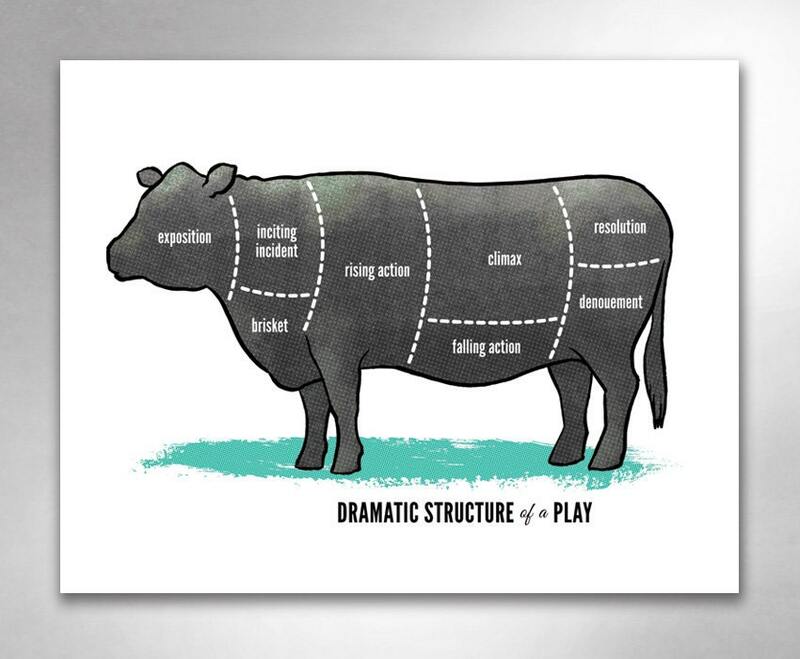 "Dramatic Structure of a Play" art print by Rob Ozborne. THE STORY:It's been written that there are five structural elements to a play. Exposition, rising action, climax, falling action, denouement. Of course, the inciting incident and resolution act as turning points in this cow's tale. For the writer and reader and story enthusiast, it's a visual guide to the elements of a story. Plus, brisket.